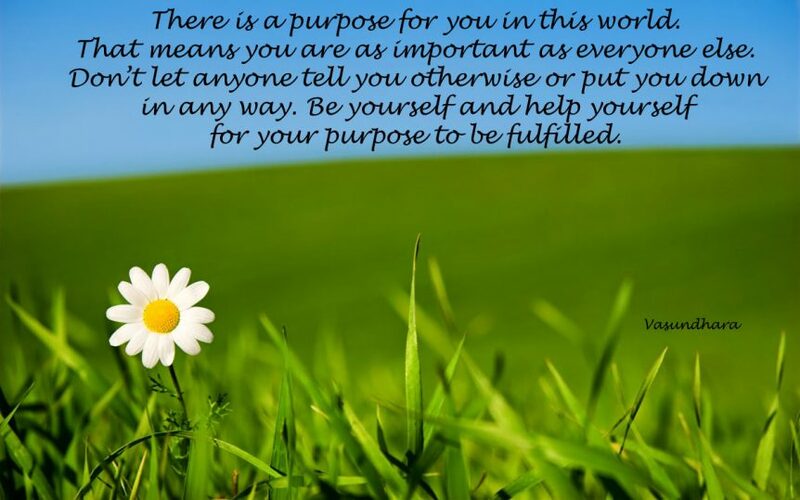 There is a purpose for you in this world. That means you are as important as everyone else. Don’t let anyone tell you otherwise or put you down in any way. Be yourself and help yourself for your purpose to be fulfilled.